Zero Motorcycles recently celebrated the start of production for its 2012 model lineup, including the first electric motorcycles to claim a range over 100 miles. The first 2012 Zero model off the line was the Zero DS dual sport, available with a 6 or 9 kWh Z-Force powerpack. The 9 kWh version claims a range of 112 miles by measure of the Environmental Protection Agency’s Urban Dynamometer Driving Schedule (UDDS) testing. Zero also claims a range of 62 km when traveling at a highway speed of 70 mph. The 6 kWh version claims a range of 76 mils by the UDDS standard, and 42 miles at highway speed. Zero also claims a top speed of 80 mph for the 2012 DS. The street-oriented 2012 Zero S offers slightly better range, claiming 114 miles for the 9 kWh pack and 76 miles for the 6 kWh version (63 miles/43 miles at 70 mph). The 2012 streetbike lineup also includes the Zero XU which claims a light weight of 221 pounds and a low 31.5 inch seat height. The XU also features a removable power pack, so riders won’t need to worry about having to park near a charging station. With a 3 kWh powerpack, the XU has a shorter range than the S and DS, claiming a range of 42 miles (28 at highway speeds). The three streetbike models make use of regenerative braking to charge the powerpack, and use low-maintenance belt drives. 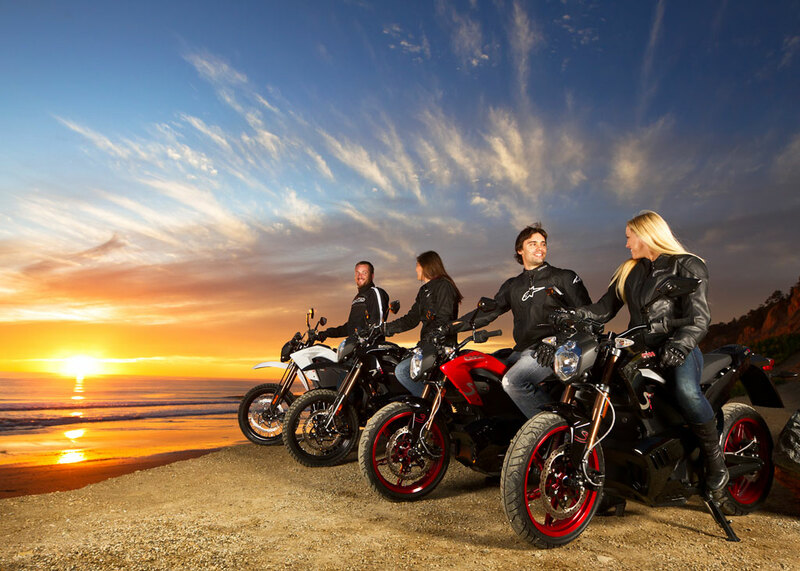 Joining the three street models are Zero’s two off-road models, the Zero X and the Zero MX. Both feature removable powerpacks. The MX is the lighter of the two (200 pounds claimed), and promises a 45-90 minutes of motocross-style riding or 60-120 minutes of trail riding. The Zero X also claims to be sufficient for 60-120 minutes of trail riding, and is street legal, claiming a range of 38 miles by the UDDS standard.